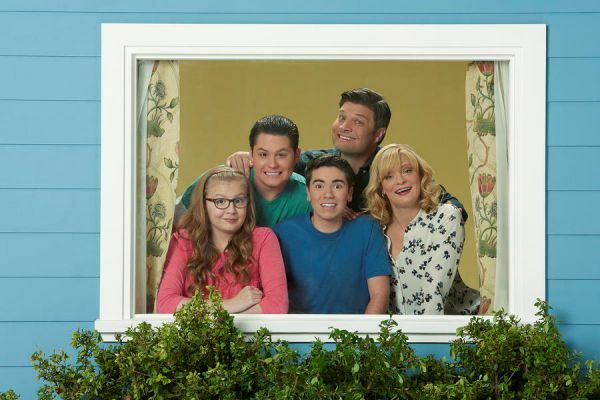 The Real O'Neals is a new family comedy about a seemingly perfect family's life which takes an unexpected turn when surprising truths are revealed. Instead of ruining their family, the honesty triggers a new, messier chapter where everyone stops pretending to be perfect and actually starts being real. Martha Plimpton (Eileen) is an acclaimed actress known for her roles in films such as The Goonies and The River Rat, television shows such as Raising Hope and The Good Wife, and stage plays such as A Midsummer Night's Dream and Pal Joey. Jay R. Ferguson (Pat) is best known for his role as Stan Rizzo on the critically acclaimed television drama Mad Men. He has also appeared on shows such as Weeds, Castle, Medium, and Burn Notice. Noah Galvin (Kenny) is a young actor who has appeared previously in the short film Promised Land and the TV show Futurestates. The Real O'Neals will be his first starring role. Matt Shively (Jimmy) is known for his role as Ryan Laserbeam on the children's comedy series True Jackson V.P. He has also appeared in shows such as Teen Wolf, CSI and The Troop, and in films such as Expelled and Paranormal Activity 4. Bebe Wood (Shannon) is a young actress previously known for her work on the short-lived comedy The New Normal. Mary Hollis Inboden (Jodi) is an actress known for her roles on shows such as The Chicago Code, Boss, and Funemployed. We have watched the first three episodes for review. Following the "coming out" confessions made by everyone in the O'Neal family, Eileen is desperate to control the situation and tries to make Kenny "un-gay." Meanwhile, Kenny tries to find the right time to break up with Mimi and has a heart-to-heart with late-night host Jimmy Kimmel. Eileen reminds her family that it's Lent and asks them to give up things they really love, which in turn proves to be quite a daunting task. In a chance meeting, Kenny meets his first gay crush, and Pat discovers his little girl, Shannon, is all grown up. Over the past six years, ABC has slowly but surely built up the strongest comedy brand on network television. At this point, they've hit that sweet spot where whenever you watch an ABC comedy, you basically know what you're going to get: at minimum, it'll be a well-made, if unremarkable, family comedy with strong characters and fairly sharp writing. Some shows go on to be much more than that (such as the excellent black-ish and Fresh Off the Boat, or the still great after seven years The Middle), whereas some shows fall short (like the misguided Muppets reboot) but, in general, there's a solid baseline for these kinds of shows, and The Real O'Neals sits comfortably on that baseline. It's far from ABC's strongest comedy, as it lacks the crackling wit and diverse viewpoints of shows like black-ish and Fresh Off the Boat, nor does it have the painfully curated realism and genuinely unique characters of The Middle. But it's a solid enough show with some strong performances and an interesting concept that could become interesting if the show figures out how to utilize it a little better. It's not a show to go out of your way to record on the DVR or catch up with on Hulu, but it's also a show that you don't have to change the channel for in between The Goldbergs and Modern Family this Wednesday, or after Fresh Off the Boat next Tuesday. It is, in essence, the perfect bottom-of-the-hour show. Of course, we're living in age of "peak TV." Fewer and fewer people are watching live television, and while "good enough to not change the channel" might've been enough to keep a show alive ten years ago, a show in 2016 has to stand out in some way to get noticed. The question that remains, then, is could The Real O'Neals eventually become a show that stands out in a way that elevates it above "an okay way to spend a half-hour?" Considering how many shows go on to become great following incredibly shaky starts suggest that nothings can be ruled out, especially considering the first three episodes of The Real O'Neals aren't even all that shaky, just a little bland and nothing particularly special. There are promising elements at work here, too: this is the most upfront I've ever seen a primetime family sitcom be about LGBT themes this early on, and it gets a lot of bonus points for not treating Kenny's sexuality as a shameful secret or a source of laughs like many shows would. There's also an interesting, honest discussion about religion that you wouldn't necessarily expect on a primetime family sitcom like this one. (On the other hand, the show's strange plotline about Jimmy's 'manorexia' is far less successful, borders on offensive and sticks out like a sore thumb considering how well it deals with other sensitive subjects.) And yet, the show never really finds a comic momentum – its humor whiplashes from subtle to over-the-top cartoon (a sequence featuring Jimmy Kimmel as Kenny's conscious falls completely flat because it's just too much) with seemingly no in between. I didn't laugh once during the three episodes that I watched, and I barely smiled, even as I mostly appreciated what the show was trying to do. The Real O'Neals has the framework of a great show, but it's going to need to work out some major kinks to rise above "passable." The Real O'Neals is a decent show with aspirations to be a great that, at this point in time, it doesn't quite live up to. It's well-made, charming, has a likable cast and an intriguing premise, but it needs to work on extending that premise beyond its most basic and shallow beginnings. The first three episodes are far from bad, and you likely won't regret having watched them, but they also don't do much to make the show feel essential. The show does have a deft handle on some very challenging topics such as religious and sexuality that suggest, with time and care, it could become another strong ABC sitcom that redefines the family sitcom structure. That's clearly where the show wants to go, but it's not there yet. If getting there is its goal, it needs to get a lot funnier and it needs to find out who its characters are underneath the stereotypes. Discuss the show after you watch it on Wednesday, March 2, 2016 at 8:30PM & 9:30PM ET/PT on our message board. Disney Channel has picked up second seasons of hit freshman sitcoms Bunk'd and Best Friends Whenever to air later this season. Both sitcoms are still in the middle of their first season orders. Bunk'd airs Fridays at 8pm ET/PT and Best Friends Whenever airs Sundays at 8:30pm ET/PT on Disney Channel. 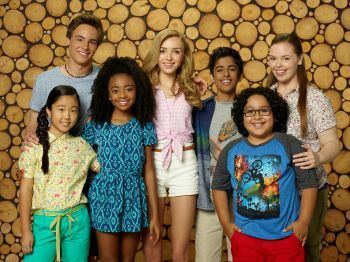 Bunk'd, a spin-off of the hit Disney sitcom Jessie, follows siblings Emma, Ravi, and Zuri Ross on their adventures at Camp Kikiwaka, a camp in Maine where their parents met as teenagers. The series stars Peyton List as Emma, Karan Brar as Ravi, Skai Jackson as Zuri, Miranda May as Lou, Kevin Quinn as Xander and Nina Lu as Tiffany and Nathan Arenas as Jorge. Best Friends Whenever follows teen best friends Shelby and Cyd, who unwittingly gain the power to leap forward and backward in time whenever they want – and sometimes when they don't. The series stars Lauren Taylor as Shelby, Landry Bender as Cyd, Gus Kamp as Barry, Ricky Garcia as Naldo and identical twins Benjamin Cole and Matthew Lewis Royer as Bret and Chet. Disney Channel is wrapping up the 30-episode second season of Girl Meets World this month, but has ordered a third season, as we reported.